24 inches of hilarious fun! 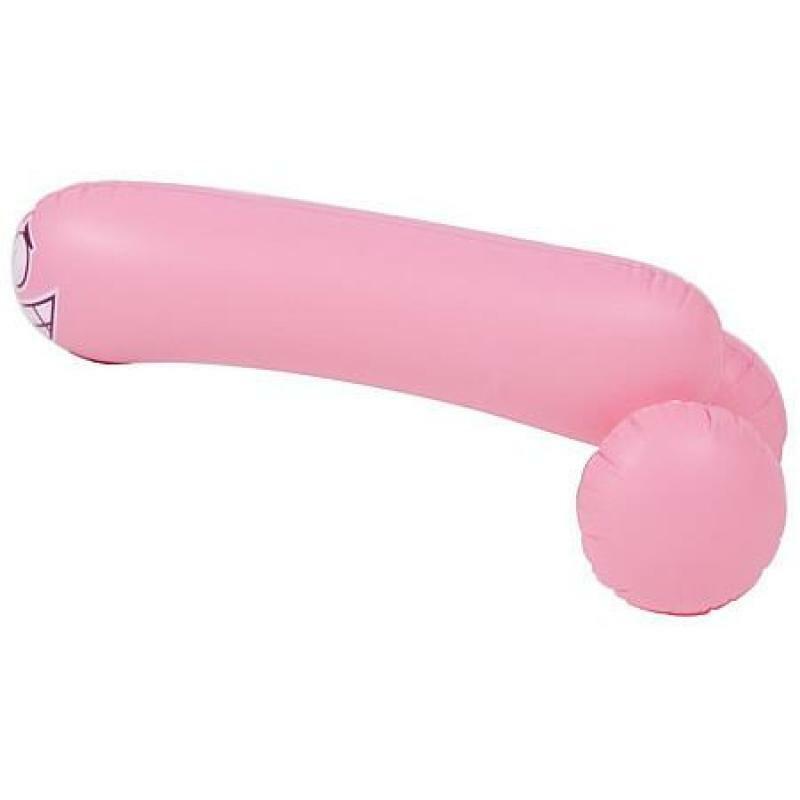 Don't be fooled by the other Inflatable Penises out there. This is the original Willie with a smiling face! 24 inches of outrageous fun! Great to use him to decorate at the party and then bring him out to the bars! But be careful, Willie is a crowd favorite! Can be autographed with permanent marker. Surprise the bachelorette by blowing it up at the bars and handing it to her when she's on the dance floor! 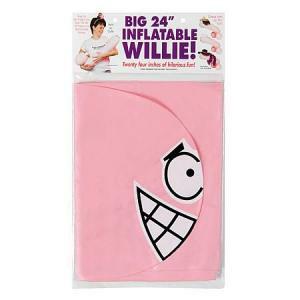 Inflatable Willie 24 inches is a pecker shaped pink balloon. It is fun to dress this guy up like the groom! Can be autographed with permanent marker. Sold separately. Bachelorette Party decoration from George's Fun factory. Manufacturing fun! 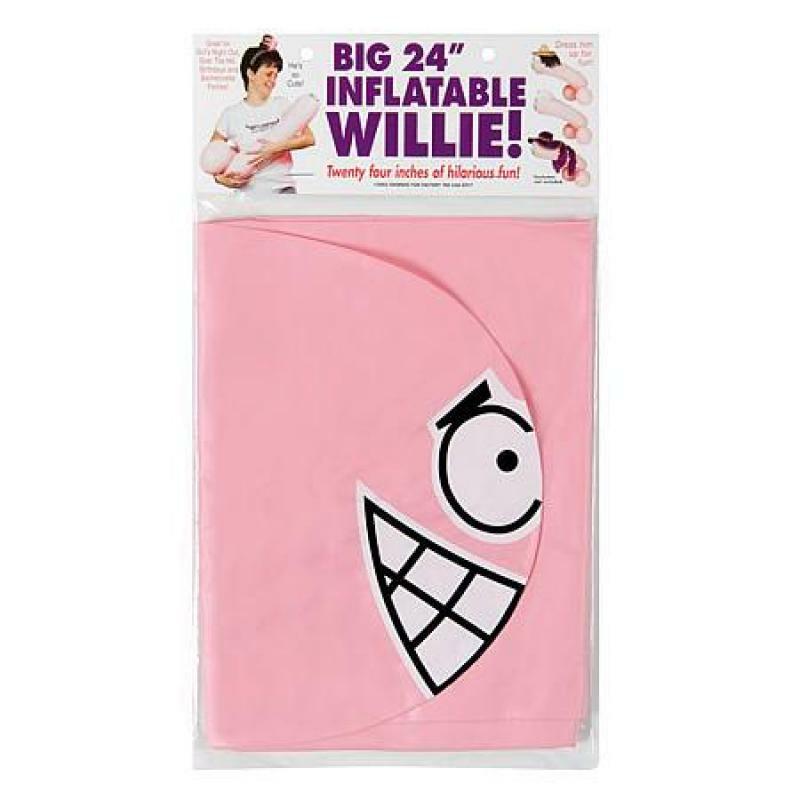 Category: Bachelorette Party Gifts, Bachelorette Party Games, Bachelorette Party Favors. Georges Fun Factory provides a smorgasbord of gift varieties to bring a sparkle to your rocking bachelorette party. With over 10 years of experience in bachelorette parties with unbeatable adult products and the best bachelorette party favors. Please note the package is changing on this products. The header features a black background with cartoon girl.